and saltwater fish, offering angling and money saving tips along the way! some money saving tips will help you get out on the water more often. Below find our 2011 season compilation.Looking forward to bringing you more in 2012. 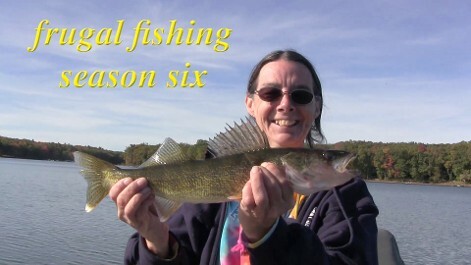 We started our first season fishing for trout, got into some spring crappie, and walleye. But we didn't stop there! We managed to get down to Virginia's tidal bays for some nice flounder, and did a bit of wading in the Potomac River for a stringer full of tasty channel cats! 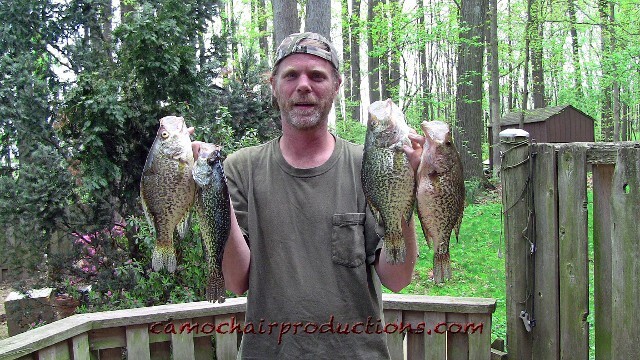 Season three got started bank fishing for some white perch to fill the empty freezer after a long winter, a day that included some great bass action as well. 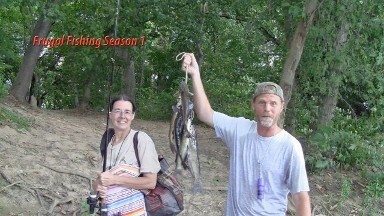 We then wound up on Lake Norris Tennessee fishing for shellcrackers, and later that summer, Michael landed what could be the catfish of a lifetime on the Potomac River in Washington D.C. But we didn't stop there, filming episodes from a rental boat catching yellow perch, bluefish from a pier, and rounding it out with great charter on the Chesapeake Bay for rockfish. Take that cousin Matt! and surf fishing on the outer banks while camping. 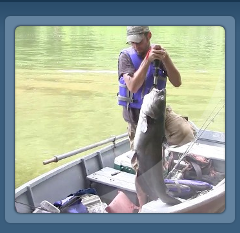 We finished up back home with a monster catfish that will not be forgotten anytime soon! Enjoy the action! 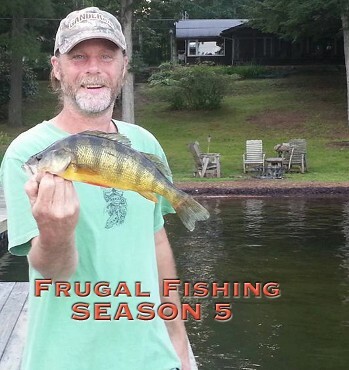 We began our fifth season of Frugal Fishing with a friend from Georgia. We had gone down to fish for landlocked stripers and film Fishing Lake Lanier. Our downtime produced our first video for season five. We then wind up on an icy cold trout stream taking a limit of trout, and enjoying the spawning runs while bank fishing local lakes with great success. From there, we head to the coast and take a look at some options for license free fishing along the Atlantic seaboard. Enjoy the great action, and get some tips on saving yourself a few dollars as well! 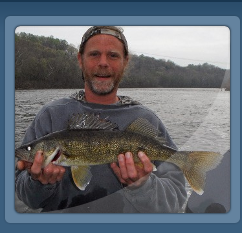 Walleye on Maryland's Potomac River start our second season off, and you'll find the action also includes bottom fishing for white perch, and some right nice bass fishing action later that summer. 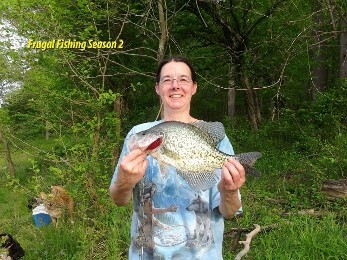 Dana took a crappie that will long be remembered, and we even got the kayaks out and gave that a whirl. 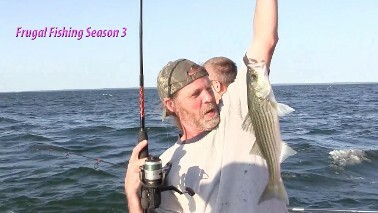 We wound up ending our second season on a journey to the Outer Banks of North Carolina to fish from the pier ! We got season six started fishing for shad on the Potomac river in Washington D.C. From there, we traveled north for some great bass fishing with a fellow videographer from Great Cove Media, did a bit of farm pond fishing, and wound up fishing the worlds longest fishing pier, the Sunshine Skyway in Florida. 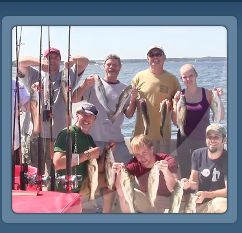 But we didn't stop there, and wound up with several more fantastic trips for perch and walleye! 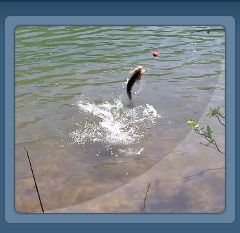 As time passed, our attention turned to other activities, and we stopped producing our Frugal Fishing videos. But we did get some requests for more in this series. It was because of this we filmed the video below. 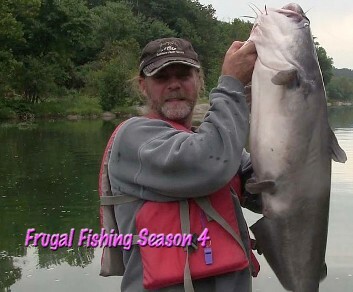 During the filming of our Fishing Unfamiliar Waters series, where we offer tips and tactics on how to find fish on a new lake, we took advantage of the cheap rental to bring you the video below!